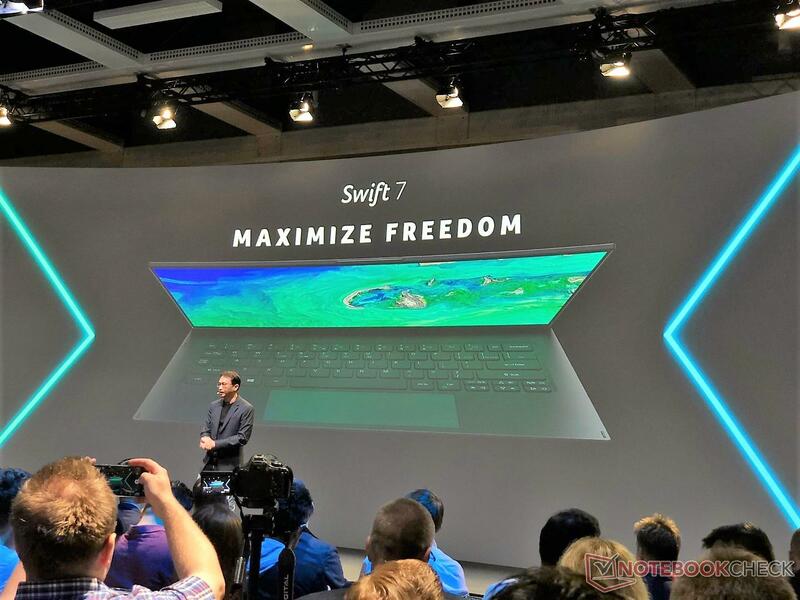 The Acer Swift 7 is expected to feature Intel 'Amber Lake-Y' CPUs and will officially launch in 2019. 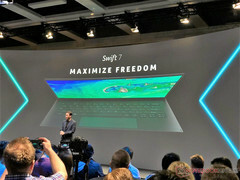 Acer talked about the upcoming Swift 7 notebook during its IFA 2018 keynote and while there was only a dummy product on display, the company notes that the notebook will slim down even further and feature ultra-narrow bezels yielding a 92% screen-to-body ratio and a passively cooled Intel 'Amber Lake-Y' Core i7 processor. The Acer Swift 7 unveiled at CES 2018 earned the title of the world's slimmest laptop thanks to its slim 8.99 mm chassis with a 14-inch screen and a passively cooled Intel Core i7-7Y75 processor. Acer looks to repeat the same feat again with the new Swift 7. We could not see the ultrabook in action as there were only thick dummy models on display at IFA 2018 but Acer did talk to us regarding what is to be expected when the new Swift 7 officially launches next year. 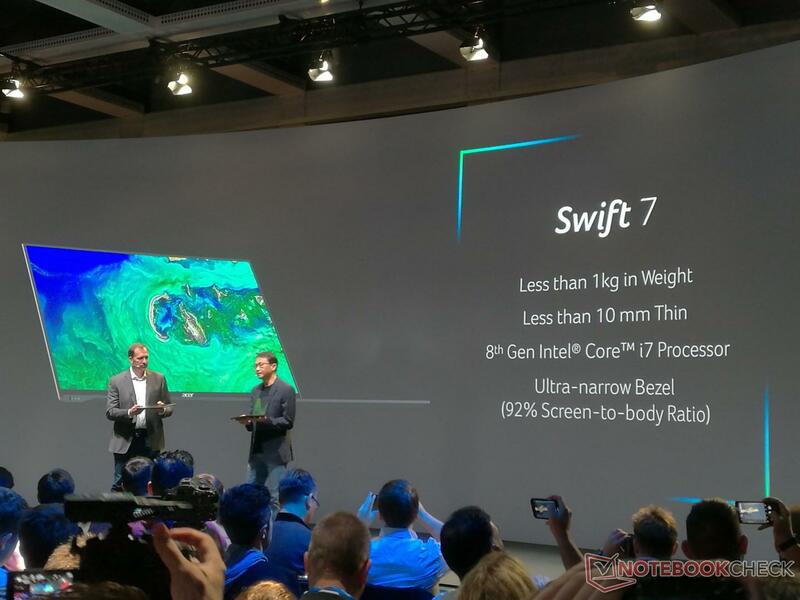 The new Swift 7 will sport the same 14-inch touch display as the current model but will house it in a 12-inch body. The overall thickness will increase by a millimeter but the entire notebook will have a much smaller footprint than the present offering. This results in a 92% screen-to-body ratio that should offer a highly immersive viewing experience. The new Swift 7 will continue to be powered by Intel Y-series processors as the thin chassis can only afford a passive cooling mechanism. We expect the Swift 7 to sport the new Intel 8th generation 'Amber Lake-Y' Core i7-8500Y CPU. The backlit keyboard will continue into the new generation as well. Acer didn't give us an exact launch date but considering that the current Swift 7 model was unveiled during CES 2018, we expect an official announcement sometime during CES 2019. The upcoming Swift 7 will sport a 92% screen-to-body ratio.